Bats use ultrasound to navigate and forage in the dark of night; and humans have developed electronic devices capable of recording and transforming these inaudible sounds to audible sounds, which even allow us to identify the species that emit them. A wide range of such devices is available on the market: with more or less functions, different formats and prices, which not only allows researchers to obtain one but also any bat enthusiast. The digital audio files generated can be transferred to specifically designed software to help identify the different bat species. 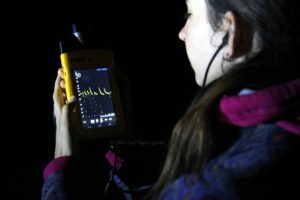 Thanks to bioacoustics, we can study bats in a less invasive way and observe more natural behaviour, to better understand how they communicate with each other, how they forage, etc. 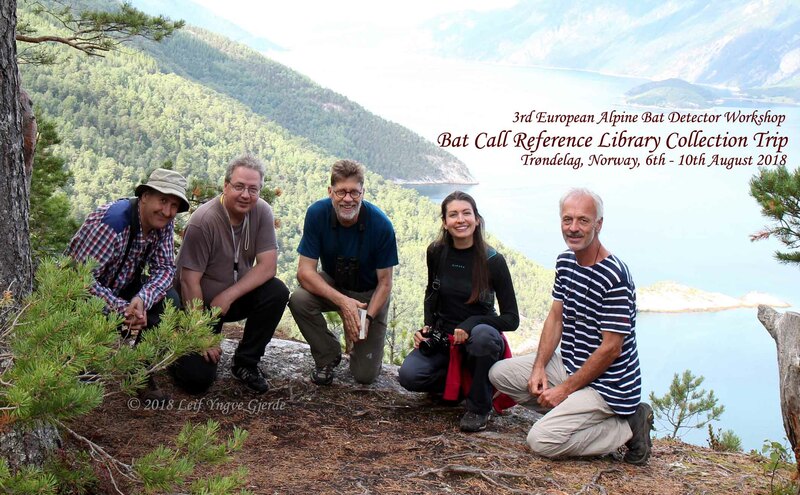 Learning to interpret the ultrasounds emitted by bats requires some teaching and by participating at workshops such as the European Alpine Bat Detector Workshop (EABDW) for example, one can gather a lot of information. 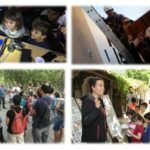 The EABDW is a workshop designed for both professionals as well as amateurs, interested in gaining experience in recording the activity of bats with several ultrasonic detectors and improving their skills in the subsequent analysis with various specific software packages; share experiences and broaden knowledge. Two of our members, Laura and Àngel Torrent, attended the 3rd edition of the EABDW held at Askim, a town south of Oslo, Norway. 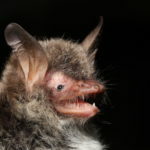 They were able to record rare species for Spain, but which are common in Norway, such as the Parti-Coloured Bat (Vespertilio murinus) or the Common Noctule (Nyctalus noctula) and they were able to see and record the most northern European bat, the Northern Bat (Eptesicus nilsonii). 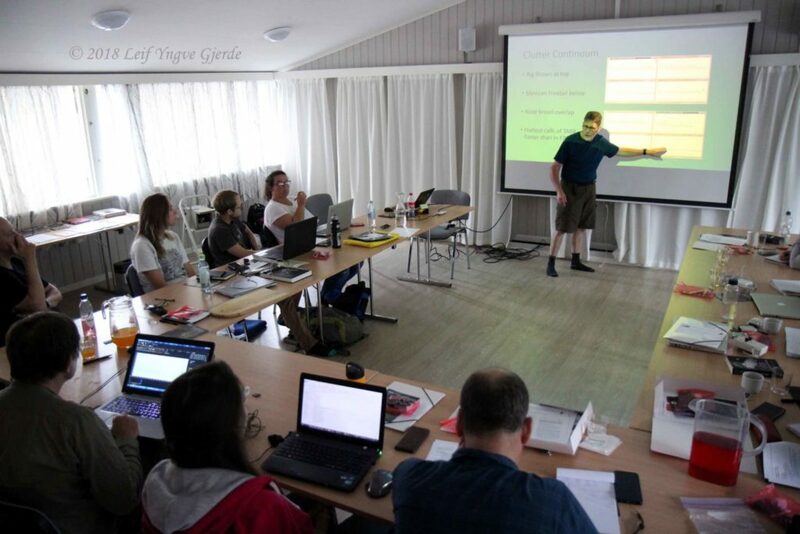 During the course of the workshop, they attended several lectures ranging from the distribution of the Norwegian species, comparisons of DIY detectors of different prices, types of microphones and their functionalities, the use of the zero-crossing method and learning how to distinguish types of social calls. All this thanks to local experts such as Leig Gjerde and Arnold Andreasson as well as international speakers such as Chris Corben and Neil Middleton. 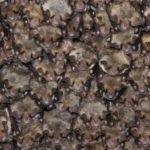 A few undertook a trip to the north of the country in search of the maternity colonies of three species known to be those closest to the Arctic Circle: Northern Bats (E. nilsonii), Whiskered Bats (Myotis mystacinus) and Brandt’s Bats (Myotis brandtii). In order to reach these they drove for over 1,000 km crossing mountainous areas, infinite fjords dotted with waterfalls and even crossed the sea via ferry. This trip has been a very educational and inspiring experience for Laura and Àngel and they encourage all bio-acoustic geeks to attend workshops of this kind to learn and share their own knowledge. The next EABDW conference will be held in Scotland in 2021!